Maxavita Pernamax Canine Tablets are a unique and revolutionary supplement formulated to promote normal joint function through the use of natural nutrition. 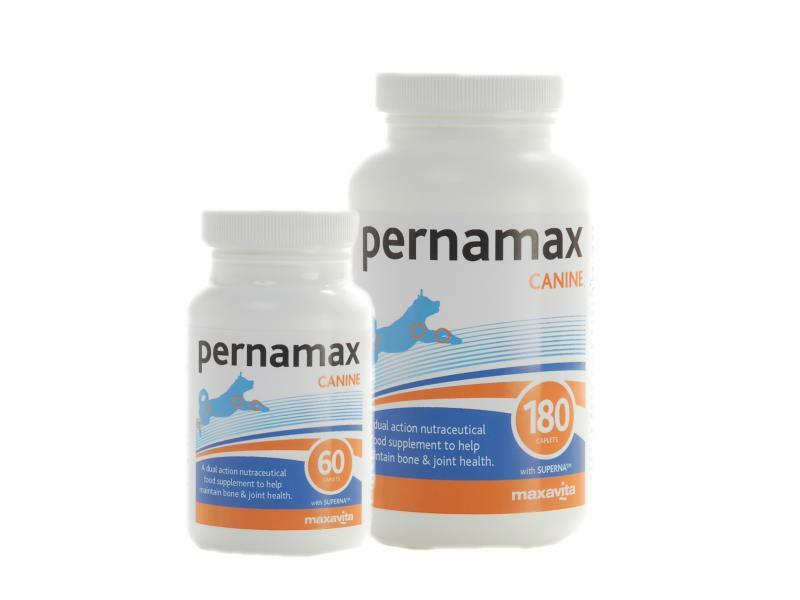 Using a truly unique dual action, Pernamax Canine Tablets contain the ideal quantities of Glucosamine, MSM and Vitamin D. Furthermore, Pernamax Canine Tablets is also enhanced with Calcium for the encouragement of ideal joint health. 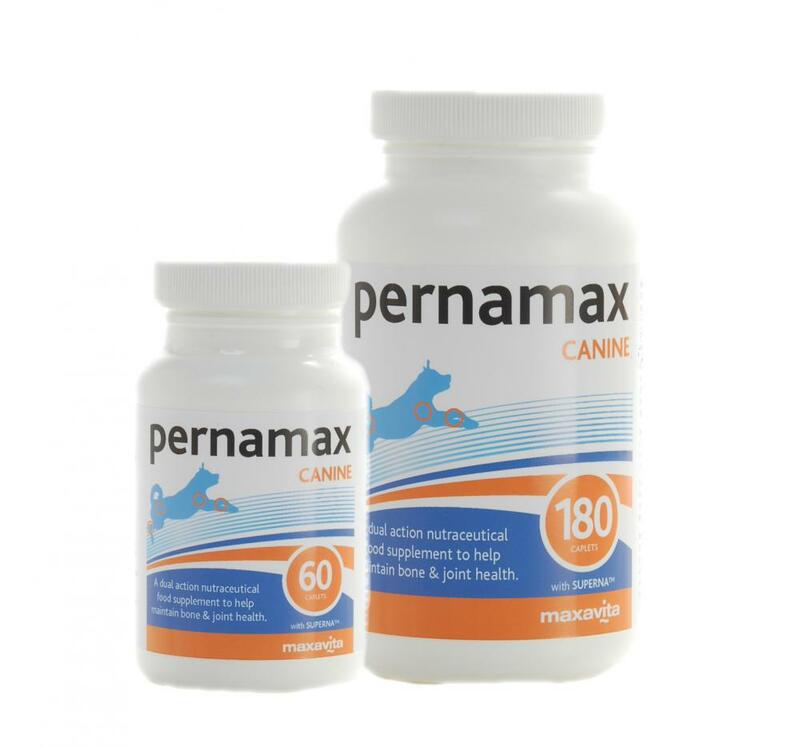 Also boasting the patented ingredient SuPerna, a Green Lipped Mussel extract, Pernamax Canine Tablets contains the highest levels of Omega 3 fatty acids on the market. It is usually recommended that a higher rate is given for the first few weeks (a loading rate) to build up levels of the active ingredients. Then a reduced (maintenance) rate is given long term to try and maintain the beneficial effects. Below are some recent questions we've received regarding Maxavita Pernamax Canine Tablets, including answers from our team. My 5 yr old Lab has had an op to tidy up his elbow where he has arthritis. Our vet recommended Yumove to help ease the joint but I've also been recommended Pernamax by a friend. Are these two comparable or is one likely to be better than the other? I know there's no cure but he's reasonably active although stiff afterwards! Finally would the addition of fish oil help? All three of the products you mention are used to help to reduce the symptoms of arthritis but there is no good way of knowing how effective they are, or which might be best. Judging from the anecdotal reports we receive, I would say that Yumove is the one most likely to be beneficial, but proper scientific evaluations are limited on all of these types of products.